The Seattle-Tacoma area is filled to the brim with museums, but unlike the renowned museums in Washington D.C., most of Seattle’s museums have an admission fee. However, this doesn’t mean the only way to visit is to shell out admission, which can get steep if you want to bring the kids along! Most museums offer free or discounted admission for young children accompanied by an adult, as well as other free days for all. Many area museums have free admission on certain days each month. These free museum days happen on "First Thursday" in Seattle, and "Third Thursday" in Tacoma and sometimes for special holiday events. Here's a rundown of how you can get into the local museums for free or cheap. Many area museums are Blue Star Museums—a nation-wide program offering free admission for military families to museums, art galleries, and science centers. For a full list of which museums participate in the program, check the current list on the Blue Star website. Yet another way to get into some local museums for free is to look to the county library systems. King County Library allows patrons to reserve free museum passes from its website. 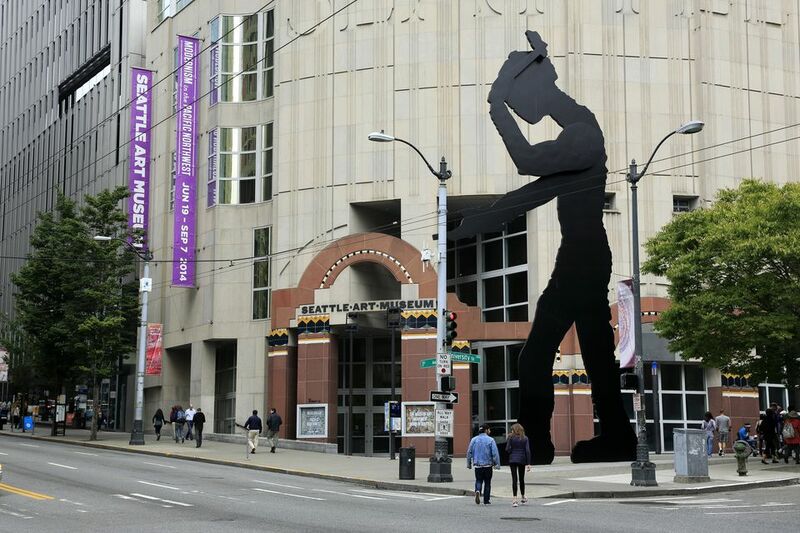 Passes are available for most Seattle-area museums, including Seattle Art Museum, EMP Museum, Museum of Flight and more. Pierce County Library and Tacoma Public Library also have free passes, but rather than printing them out, patrons can check them out from the libraries. Passes cannot be renewed or reserved, but they are often available. Both library systems have free passes to Museum of Glass, Tacoma Art Museum, and Washington State History Museum. How to visit for free: For First Thursdays, the museum is open from 10 a.m. until 8 p.m. and admission is free. Seattle Public Library has passes. Admission is also free for UW students, staff and faculty. Location: On University of Washington campus, on the corner of 17th Avenue NE and NE 45th Street. How to visit for free: Seattle Public Library passes. First Thursdays, the museum offers free admission from 5 p.m. to 9 p.m. Children under 4 are always free. Members are free. How to visit for free: Seattle Public Library passes. First Thursdays, this museum has free admission from 10 a.m. to 8 p.m. Children 14 and under are always free. How to visit for free: Seattle Public Library passes. Children under 5 always free. Free for members, and the museum offers free admission on the first Thursday of every month. How to visit for free: Seattle Public Library passes. First Thursdays the museum is free for everyone. The first Friday of each month, admission is free to seniors 62 and older. How to visit for free: Seattle Public Library passes. SAAM is open to the public for free on First Thursdays. The first Friday of each month is free for seniors 62+. The first Saturday is free for families. Please note that the Seattle Asian Art Museum is closed for renovations and expects to reopen in 2019. How to visit for free: On Tacoma’s Third Thursdays, MOG is free from 5 p.m. to 8 p.m. Always free to children 5 and under. Pierce County Library and Tacoma Public Library have passes you can check out. How to visit for free: On Third Thursdays, TAM is open from 5 p.m. to 8 p.m. for free. Children 5 and under are always free. Pierce County Library and Tacoma Public Library have passes you can check out. How to visit for free: Children’s Museum of Tacoma is a pay-as-you-will museum, meaning if you can’t afford to pay, you and your children can still come in and enjoy the museum! How to visit for free: For Third Thursday, WSHM offers free admission from 2 p.m. to 8 p.m. Children under 5 are free. Pierce County Library and Tacoma Public Library have passes you can check out.